Here you will find stones in different shapes and amounts.... Not just occasional stones, but buildings too. 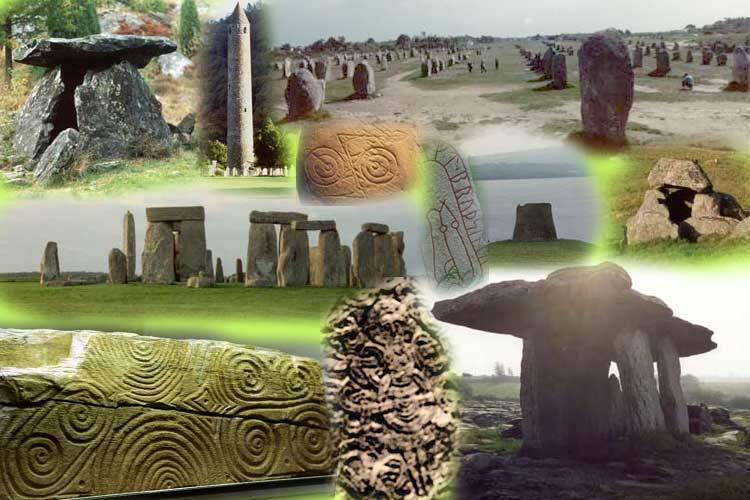 They date from the Stone Age up to the early Middle Ages.... Stones from the British Isles, from Denmark and Sweden and from Brittany in France.... Some of them look similar in different countries ( like the megalith monuments ), while others are of more local kind ( like the Pictish stones in Scotland ). Explore & enjoy !